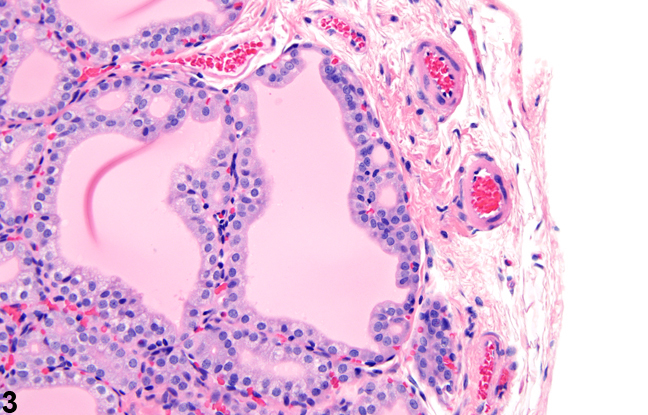 Thyroid gland, Follicle, Epithelium - Hyperplasia in a male B6C3F1 mouse from a chronic study. 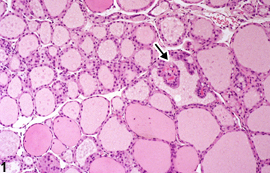 Proliferative projections of hyperplastic epithelium are present in a single follicle (arrow). 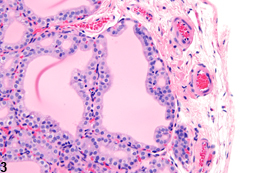 Thyroid gland, Follicle, Epithelium - Hyperplasia in a male B6C3F1 mouse from a chronic study. 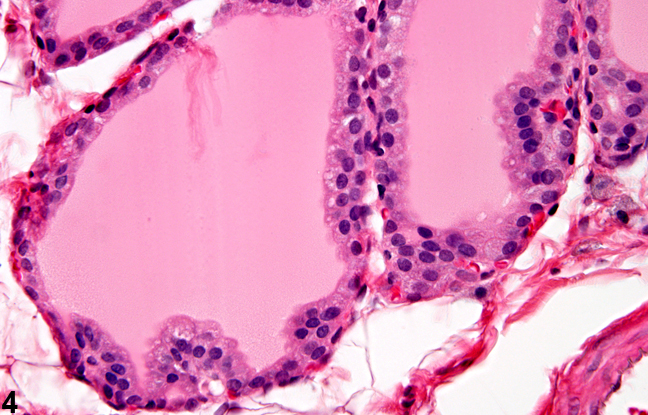 Higher magnification of Figure 1 shows the proliferative projections of hyperplastic epithelium in more detail. 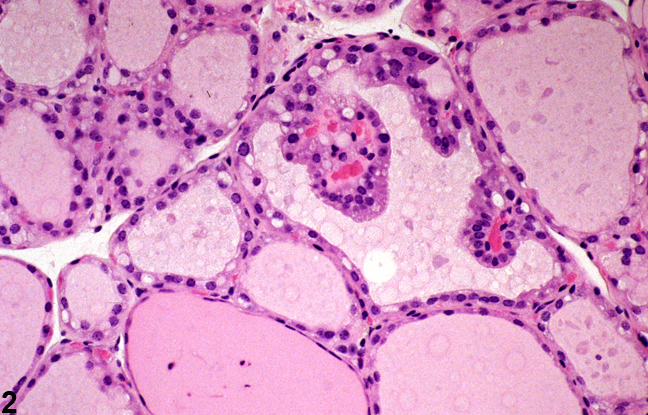 Thyroid gland, Follicle, Epithelium - Hyperplasia in a male F344/N rat from a subchronic study. Some degree of hypertrophy is present in this example of minimal epithelial hyperplasia. 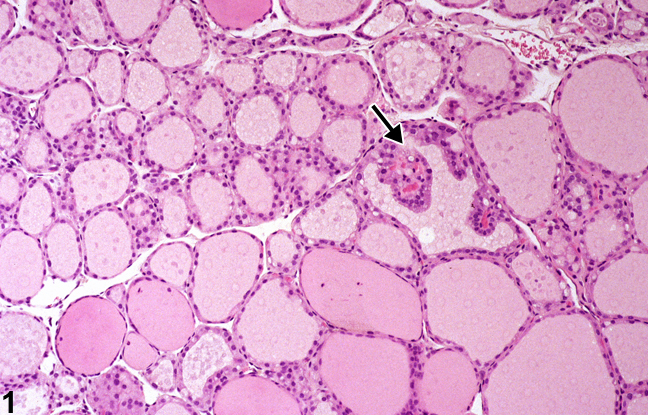 Thyroid gland, Follicle, Epithelium - Hyperplasia in a male F344/N rat in a subchronic study. 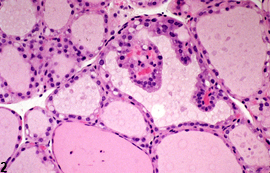 There is minimal hyperplasia of the follicular epithelium with crowding of the nuclei and minimal protrusion into the follicular lumen.